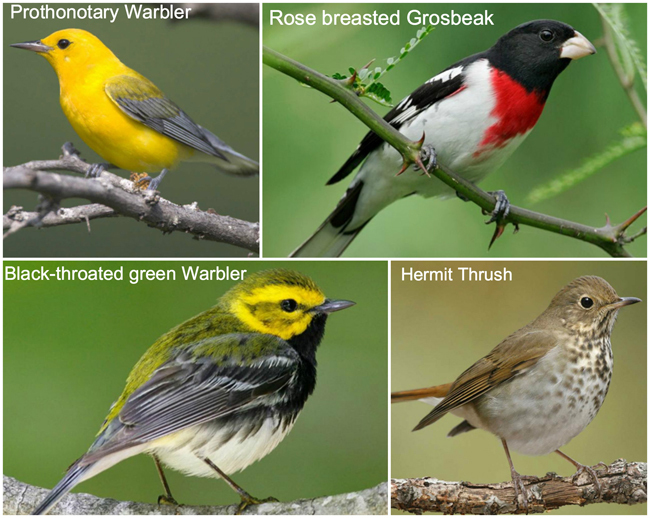 Among these enjoyed by the group were the brilliant-yellow Prothonotary Warbler, Rose-breasted Grosbeak, Hermit Thrush while the Black-throated green Warbler can be seen on Grand Bahama all winter long. That morning Martha Cartwright celebrated a milestone in her recently found passion for birding. She has observed and recorded 100 species and will receive her first “Birds of the Bahamas” certificate, which is issued and recognized by the Bahamas Ministry of Tourism and Certified Bahamas Birding Guide Erika Gates. Special recognition this month will be given to Linda Barry Cooper. 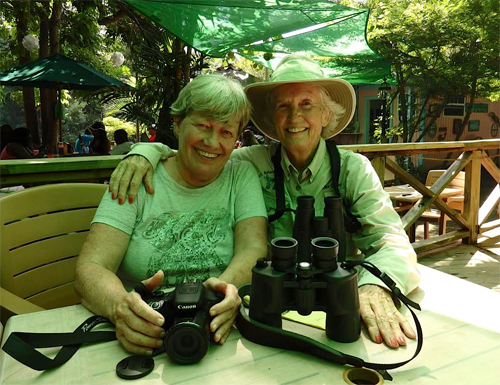 Linda had her first exposure to birds in the 2014 Basic Birding Class, conducted by Erika Gates annually over a one month period. It was love at first “flight” for Linda! 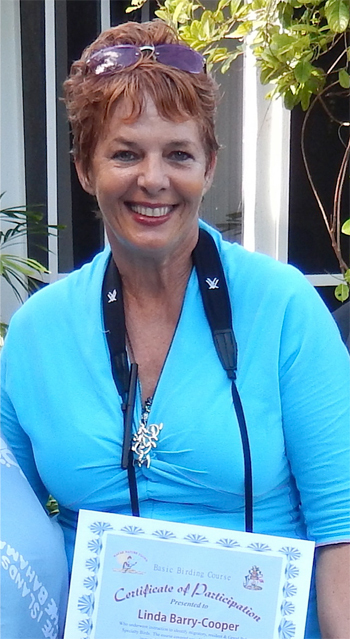 She observed, photographed and studied the common and rare birds all over the island, especially at Westend where she lives. Linda not only birds for her own enrichment but she has made a valuable contribution in putting Grand Bahama Island and Westend in particular, on the map by reporting several species that had never been seen here! 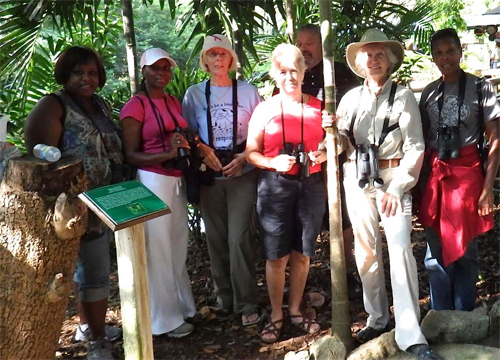 This month Linda reached 150 species and is congratulated by her fellow birders from Grand Bahama Island and abroad!